P and M Coaches is a family run business, we provide coaches for hire for all occasions. We offer a reliable and prompt service. All of our coaches come with an expertly trained and CRB checked driver to ensure that your journey is easy, comfortable, and relaxing. P and M Coaches is a coach hire company in Chelmsford. They cover the Romford, Upminster, Havering, Dagenham, Barking, Chelmsford, Epping, Brentwood, Ongar, Ilford, Harlow, Stanstead, ESSEX areas. 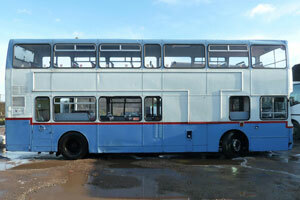 They have several types of coaches: 49x3 seaters, 48 seaters, and 85x2 double decker buses. Their coaches are perfect for parties, weddings, corporate events or executive hire events. Their service is high quality and their main aim is to satisfy the clients. To get more information about P and M Coaches, call them on the number above and see what they can do for you. P and M Coaches offer a reliable and prompt service. All of our coaches come fully insured and ready to drive in London. The drivers are CRB checked and experienced in coach driving. The only hard part is picking up the phone. Make your way to wherever your students are going without having to ask the parents to drive. Our coaches are ideally suited for school trips all over England. Recently attended a wedding and this company provided the transport. I was very impressed with the quality of the service... Very professional and polite driver, that made us feel very comfortable. Highly recommended service!